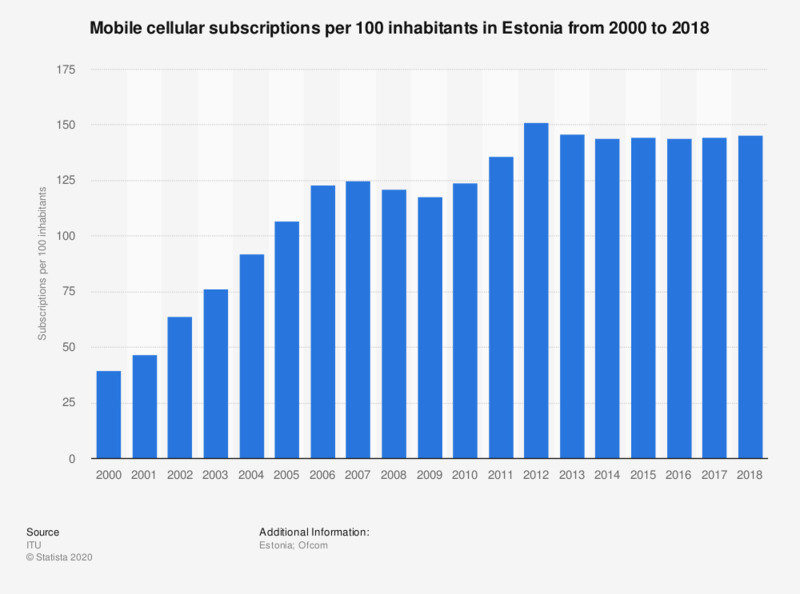 This statistic depicts the average number of mobile cellular subscriptions per 100 inhabitants in Estonia between 2000 and 2017. In Estonia, there were 145.42 mobile cellular subscriptions per 100 inhabitants registered in 2017. Release date set as date of access.